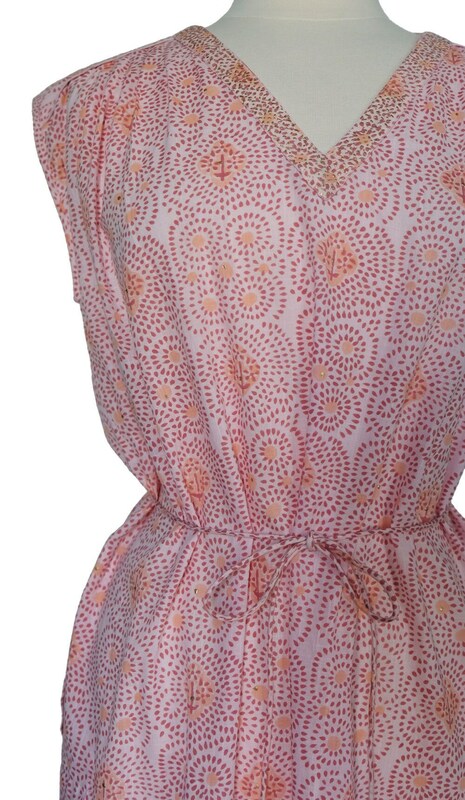 Simple and elegant, this pink block printed slip dress is the perfect addition to the summer wardrobe. The dress has a V-neck with gold print detail, and is lightly gathered below the shoulder and across the back. It has a skinning cloth belt to nip in the waist. It is made of 100% lightweight cotton and has small 3" side splits and two hidden side pockets. Overall length 43"